This Wraith automatic model features a distressed DLC finished blade made from 154CM stainless steel. 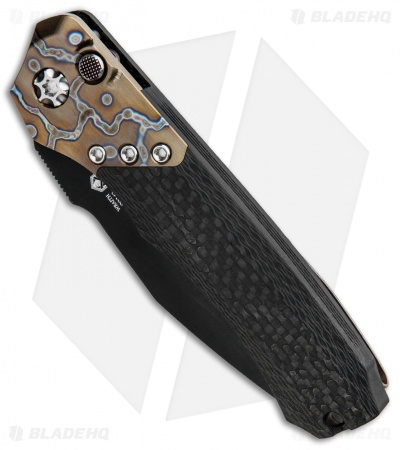 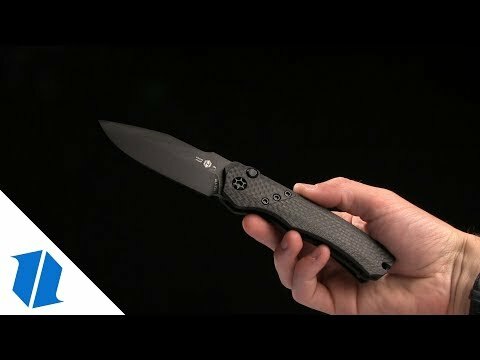 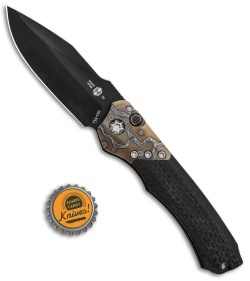 It has a single piece carbon fiber handle with a snail-dot flamed titanium bolster. The Heretic Knives Wraith is a sturdy automatic knife with a solid integral handle design. Its blade is hand ground and sharpened to precise standards for a custom feel and top-notch cutting performance. 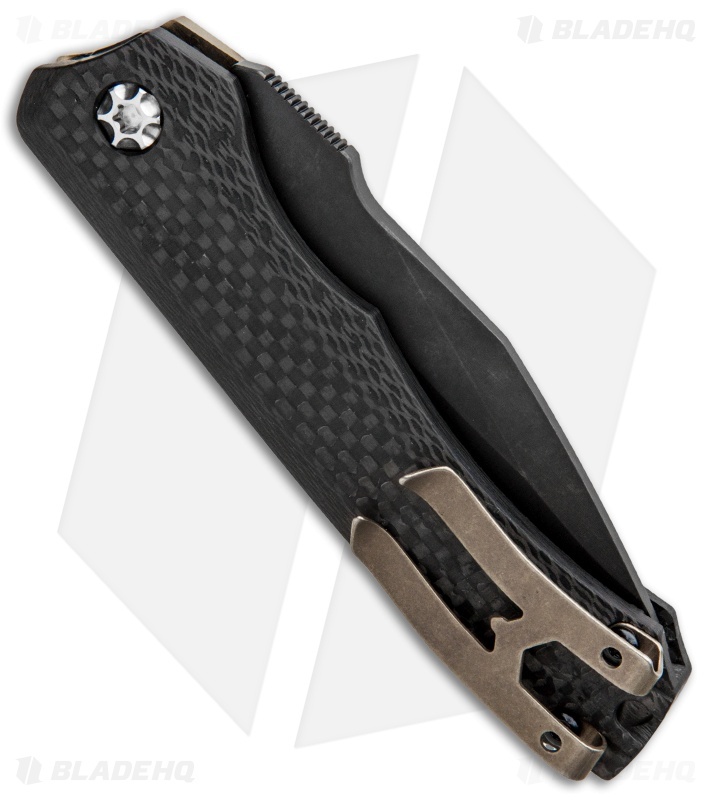 The Wraith is built with Heretic's signature double pronged pocket clip and a built-in lanyard hole for everyday carry convenience. Push button automatic offers responsive one-handed deployment with snappy opening action.